*Login or Add to Cart to See Price close Add to Cart KaTom is constantly working to bring you the best value for your equipment. Add this item to your cart or login to see the price. The Flat Tech CT4302 table base measures 28.35 inches tall, which works well in dining rooms. 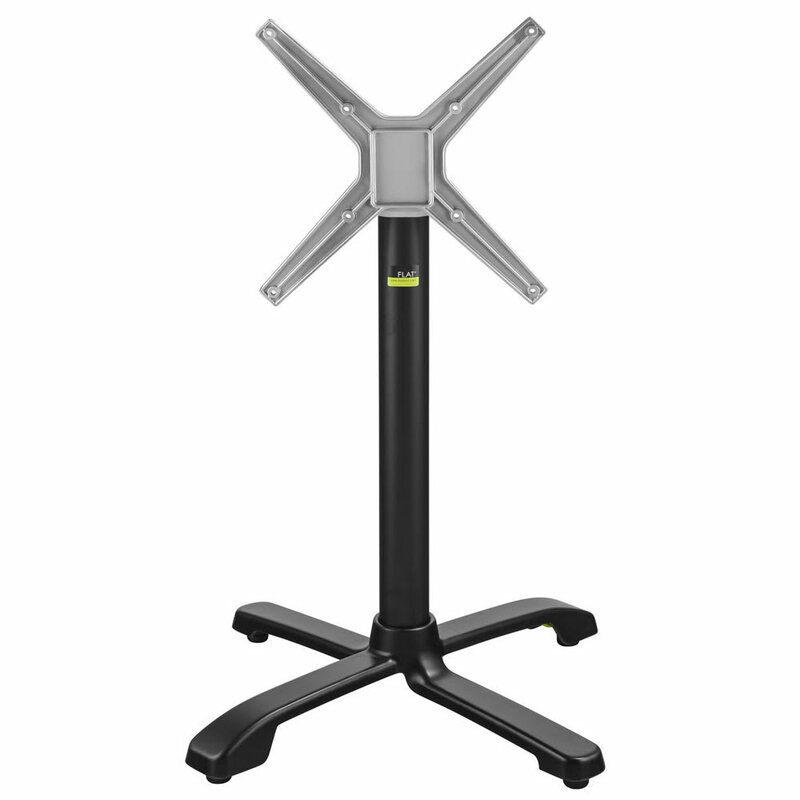 With the sturdy top plate, the base can hold tabletops up to 32 inches. Wobbling due to uneven floors is no problem with this base due to its stabilizing technology that is built into the bottom. 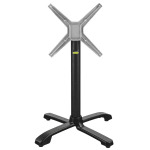 With the lightweight aluminum construction, this Flat Tech CT4302 table base is easy to move, perfect for establishments that rearrange their tables for different group sizes. A black coating protects the aluminum from outdoor elements.